The cradle tower was built around 1350 as a personal watergate entrance for King Edward III. It later became another tower for holding prisoners. 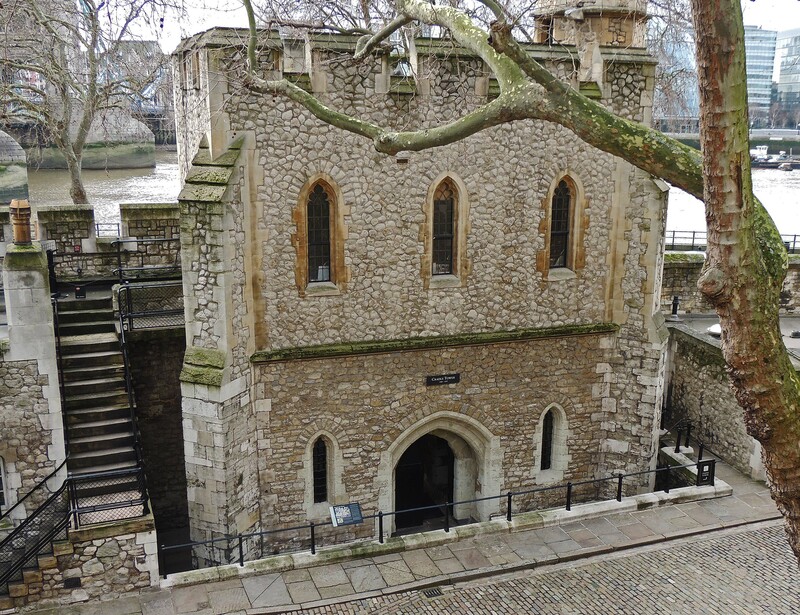 Two prominent prisoners held and tortured in the Cradle Tower were John Gerard, a Jesuit priest, who was arrested in 1597 but subsequently escaped and Anne Askew, a protestant martyr who was burned at the stake in 1546 for heresy. The upper floor of the tower was rebuilt in the 19th century.